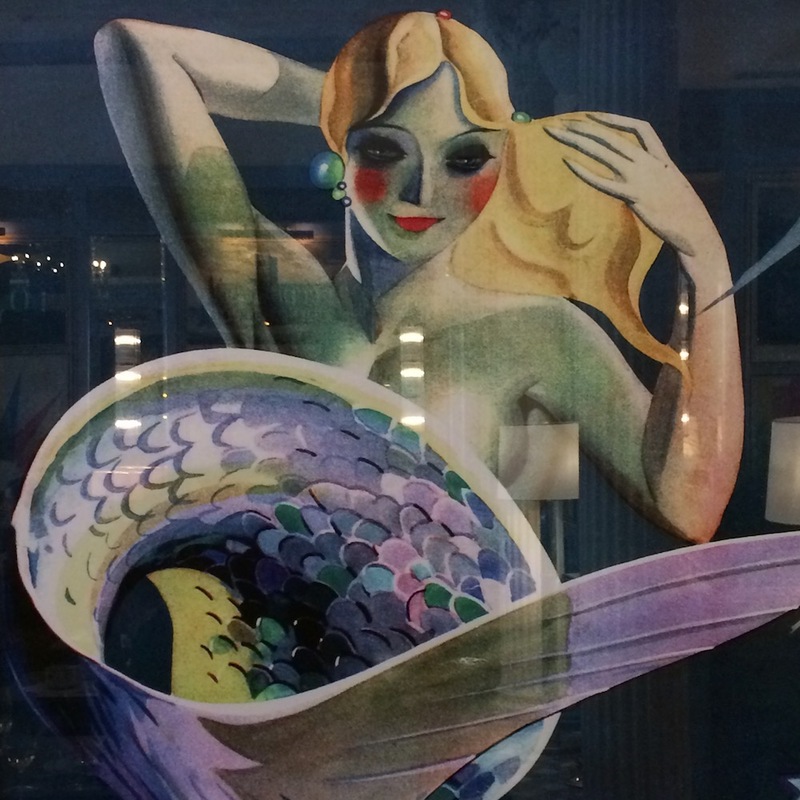 Been a while since you had your usual table for two at famous Art Deco celebrity haunt The Ivy in London’s West End? Yeah, me too. 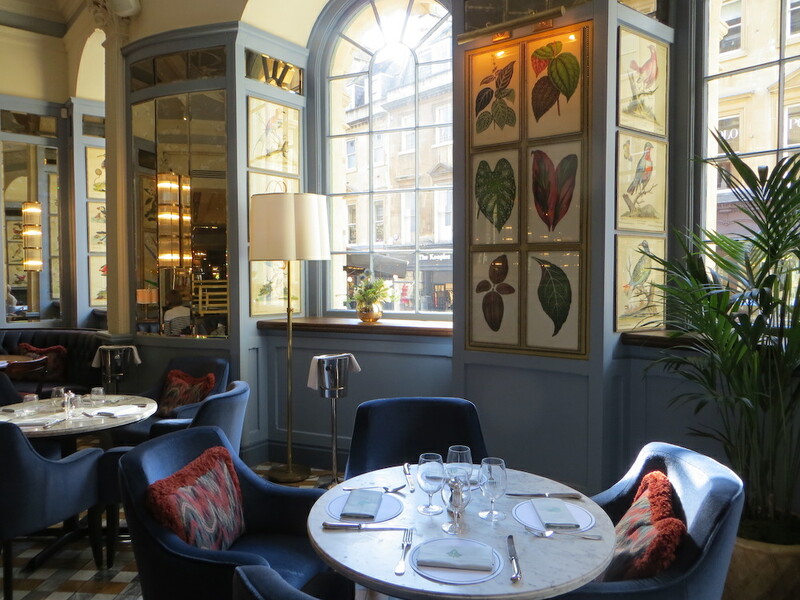 No need to fret, The Ivy’s come to the West Country, with branches in Bristol and now in Bath. 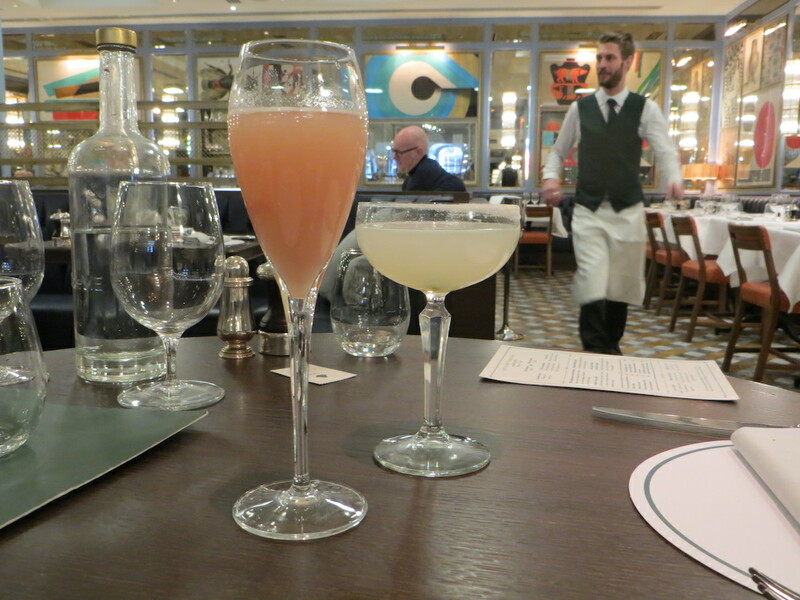 The Ivy Bath Brasserie turns out to be much like the Mother Ship…. 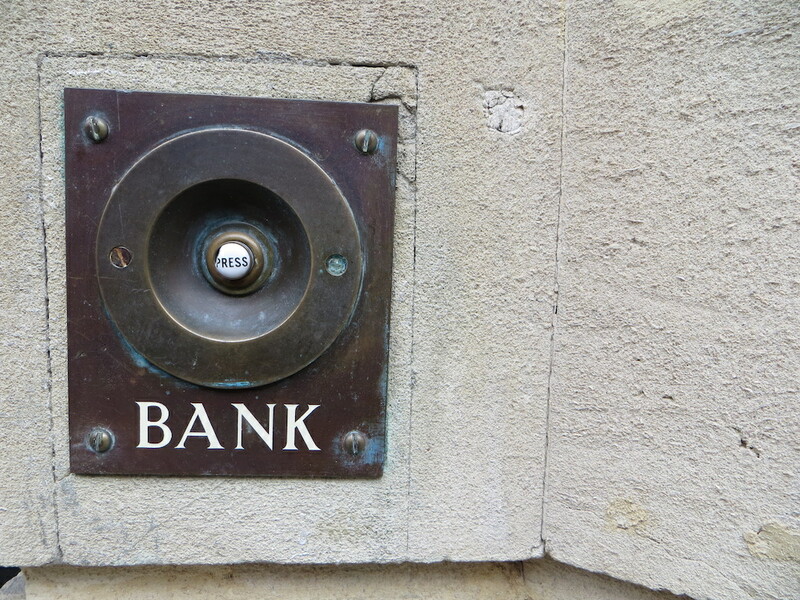 Slap bang in the heart of the top (posh) end of Milsom Street, Bath’s main shopping drag. Most convenient for a long and lazy stop off pre- or post-retail therapy. But if you’re in town doing the sights, it’s handily just minutes away from the Roman Baths, The Assembly Rooms and Bath Abbey. 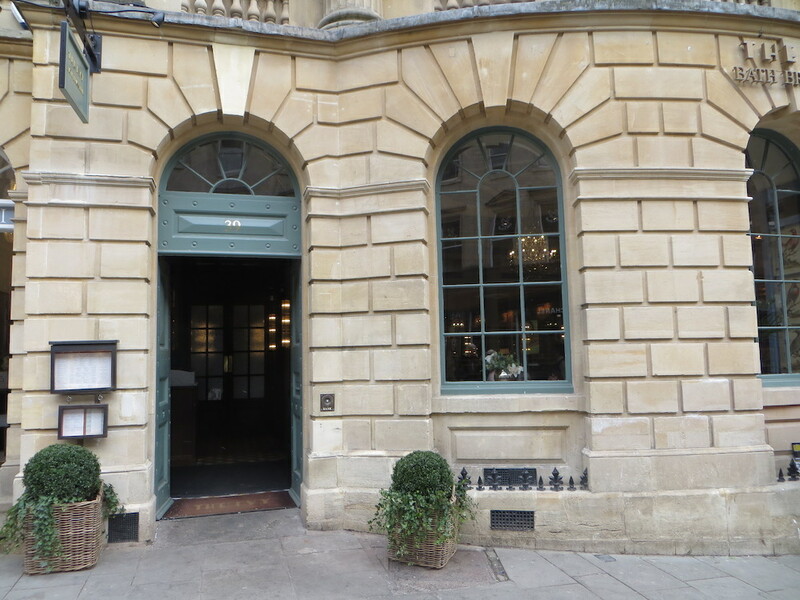 Housed in a Georgian building (what else – we’re in Bath) in what was once the NatWest bank, so expect high ceilings and lots of original features. Buzzy, lively, French – look, there are waiters wearing long white aprons. But what’s that man doing in my Margarita? Cocktails to start. Mine’s a Bellini. 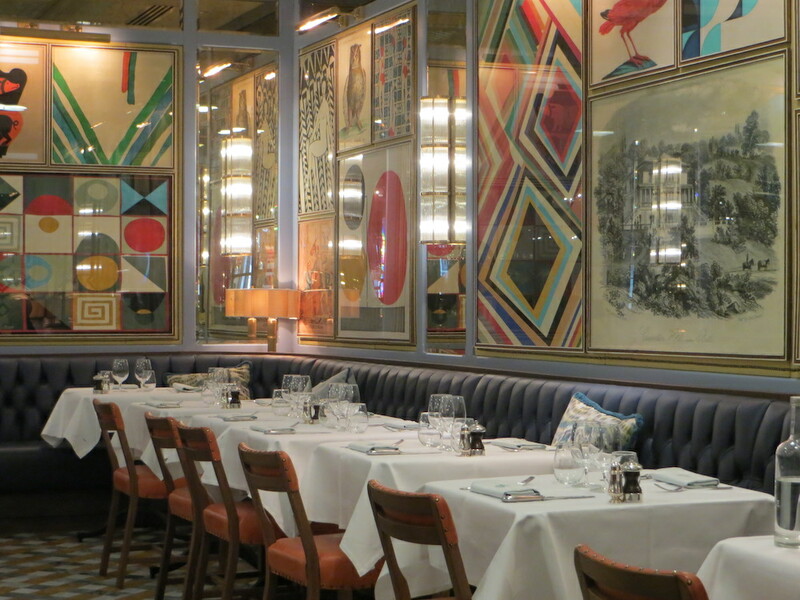 …or at the back where the world’s longest banquette runs around around the room (quick, catch it if you can). Gold-framed posters, prints and mirrors cover almost every wall, all the way up to the high ceilings, giving a deco-ish, glam but relaxed feel. 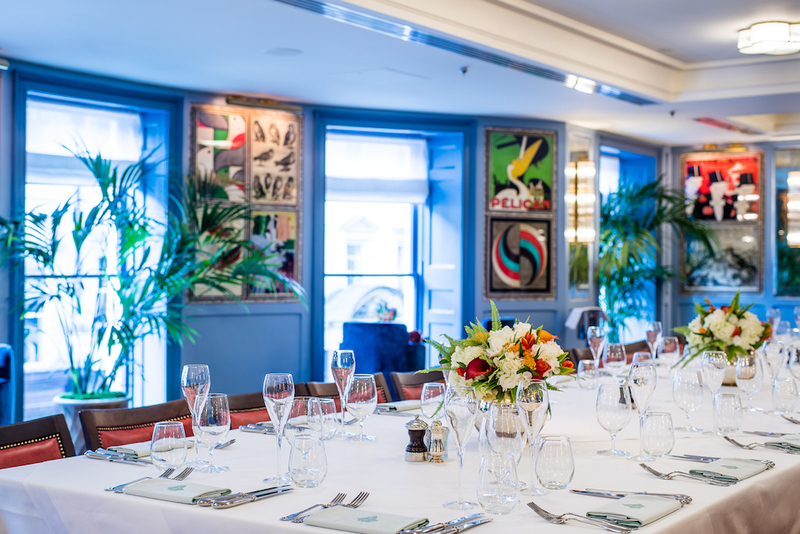 Tucked away up on the second floor and just opened, The Baldwin Room’s the place to go for a private do. 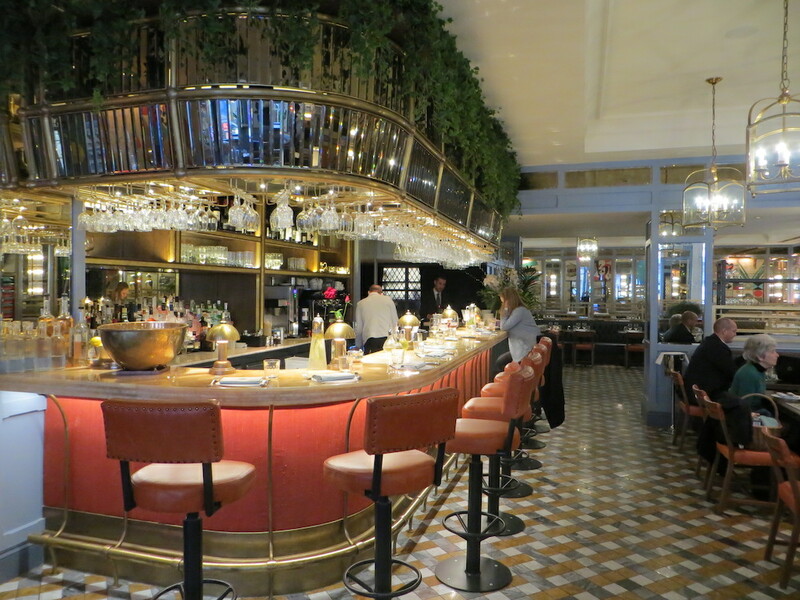 Choose from the vast menu’s brasserie/Modern British standards – like steaks, Ivy hamburger and their famous shepherd’s pie (with a nod to the South West with Wookey Hole cheddar) – to the more exotic blackened cod fillet in a banana leaf and a whole lobster (next time, next time). 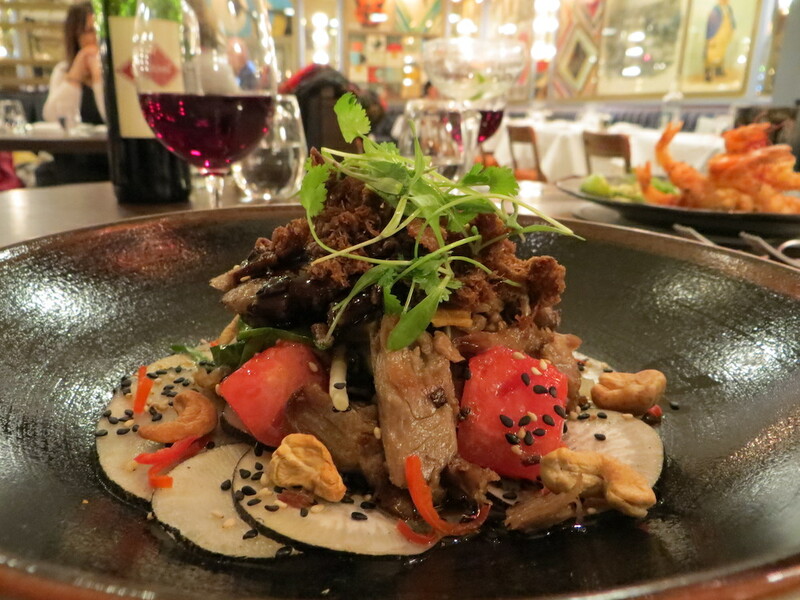 I started with the ever-so-crispy duck salad with a delish five spice dressing – a bit like the Peking crispy duck that you get in Chinese restaurants – but with toasted cashews, fresh sweet watermelon, beansprouts, coriander and ginger. 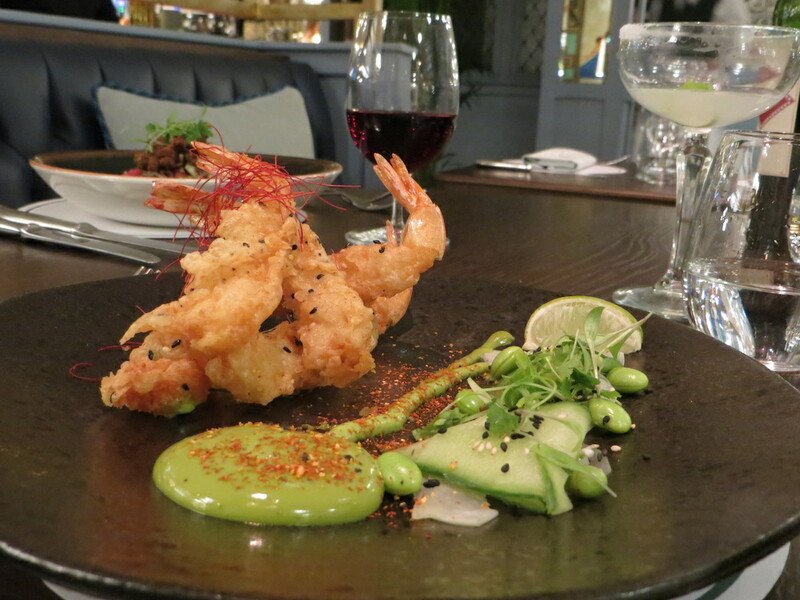 Also on the menu – giant tempura prawns, served up with pickled mouli, cucumber, edamame beans, matcha tea sauce and a wedge of lime. 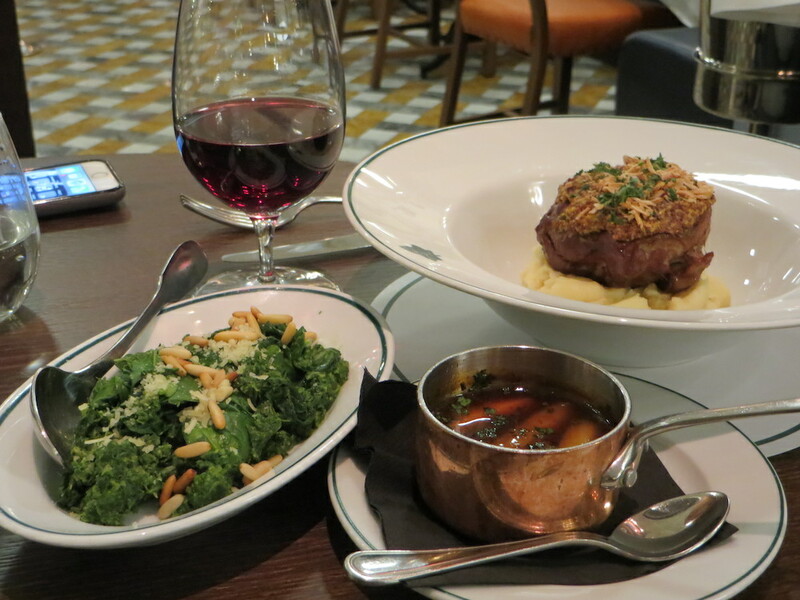 Here’s the slow roasted lamb shoulder with a mustard and herb crust, mashed spuds, served with broccoli and pine nuts. Neat little copper pan. 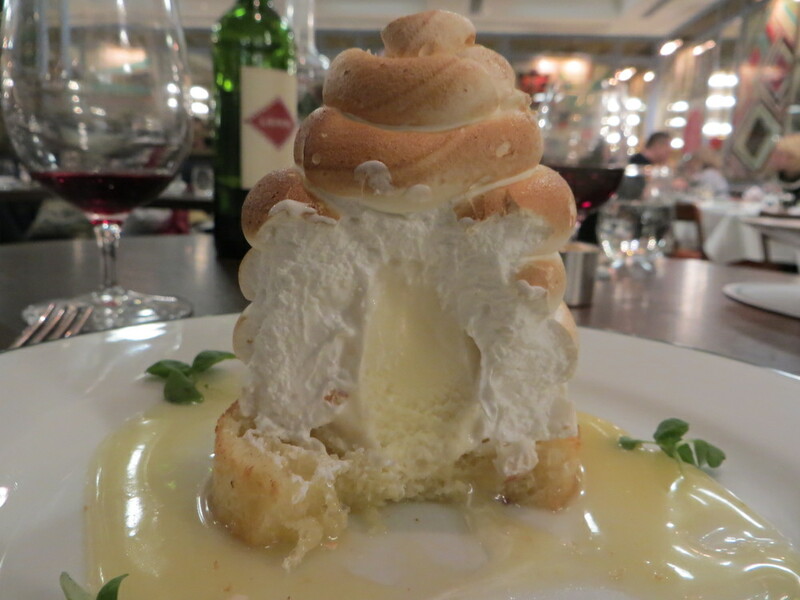 Desserts are spectacular. 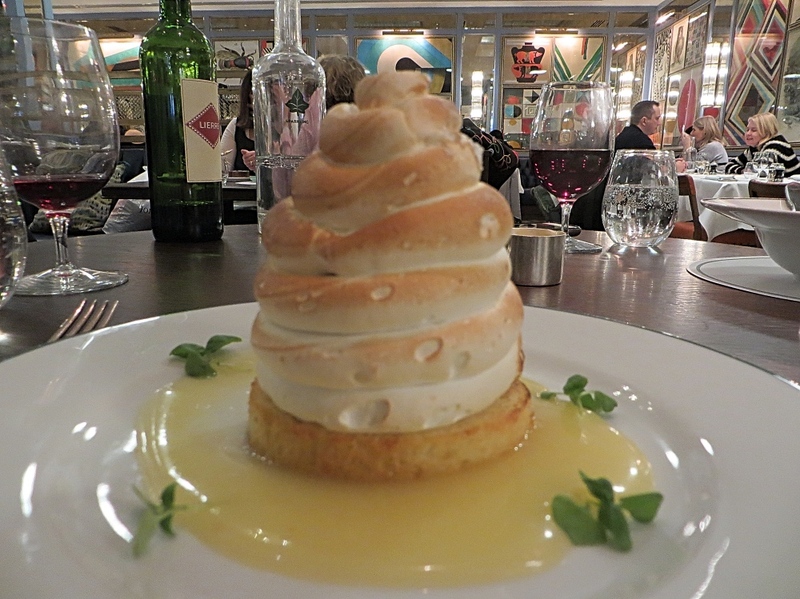 This lemon meringue Baked Alaska was a 10cm tall bouffant hair-do of baked meringue encasing lemon ice cream, sitting in a lemon curd sauce with baby basil leaves. 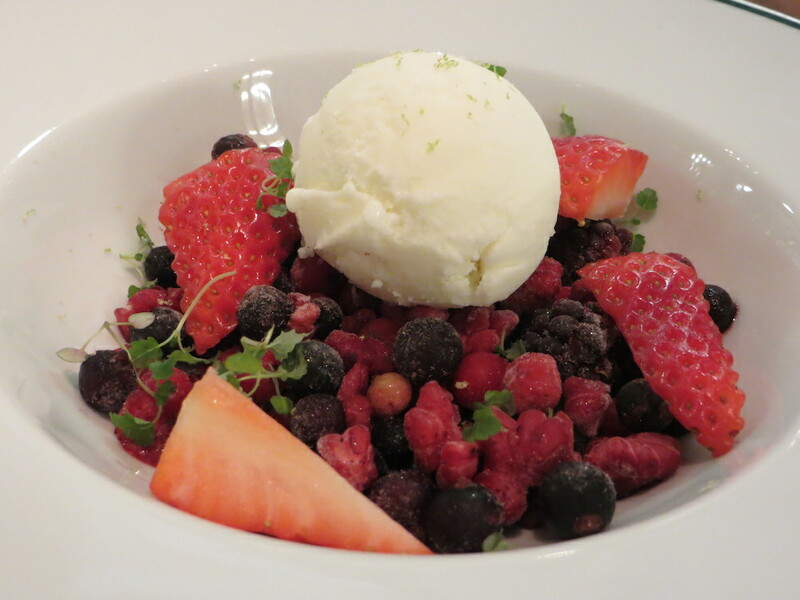 Our other dessert, frozen mixed berries with a yoghurt sorbet, awaits its warm white chocolate sauce. Extensive wine list. After much humming and haaing over the £230 bottle of Pol Roger Cuvee Winston Churchill champagne, we decided on the very good house red. Why not? 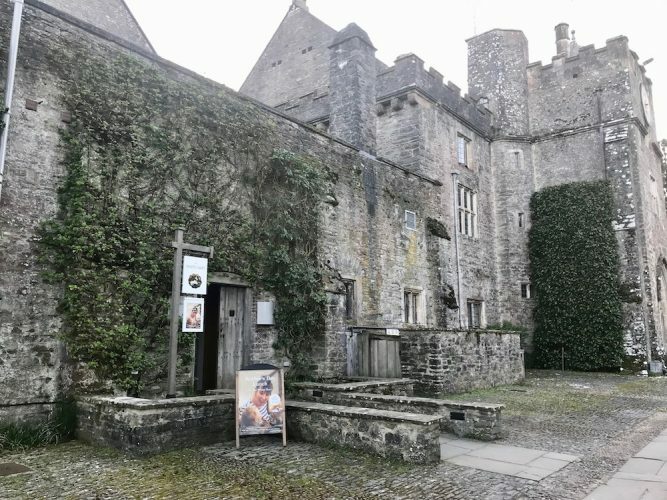 Just in the same way as French restaurants are welcoming to kids, it feels the same way here. But probably not propped up at the bar. Lots of options on the menu for the less adventurous. But it’s quite nice without them too, eh? You’ve got the whole of Bath at your feet. 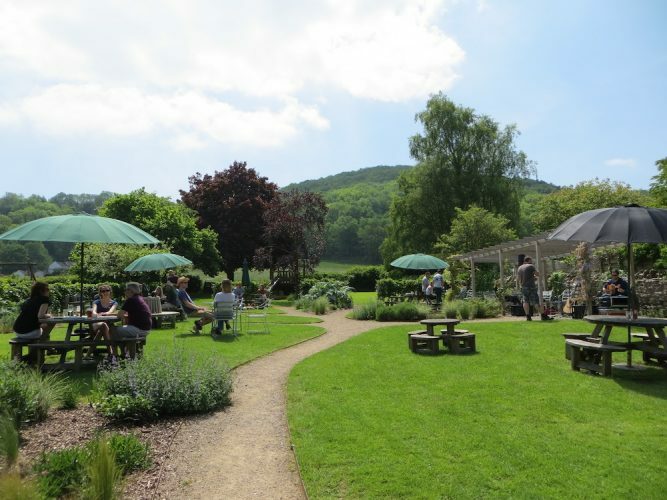 Good for: A girlie lunch on the town (don’t feel bad if you’ve got shopping bags), pre-theatre supper, big family brunch in a laid back, stylish place with a bit of frisson. Not for: Anyone wanting hushed formal dining. The damage: Reasonable. 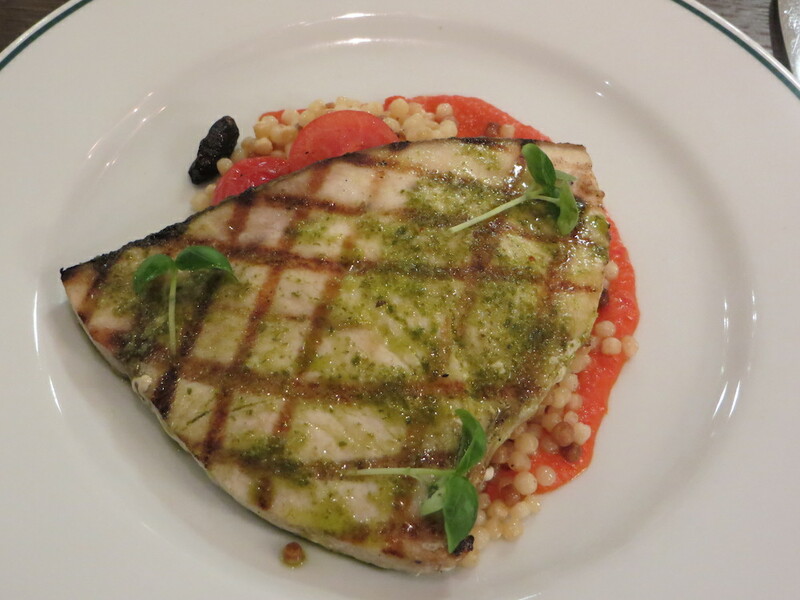 On the a la carte, starters £5.50–£11.95. Mains £12.75 – £34 (that lobster). Desserts from £3.50–£9.95. 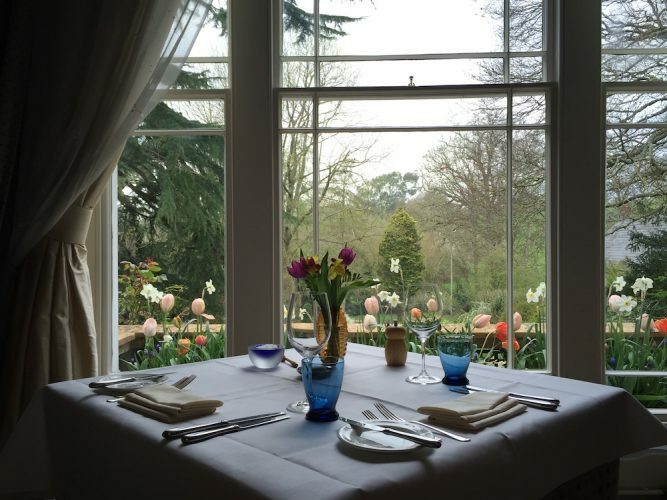 Very good value set menu Mon to Fri, 11.30am–6.30pm, 2 courses £16.50; 3 courses £21. Wine from just under £20 right up to that £230 bottle of Pol Roger champers – pop that cork right now!